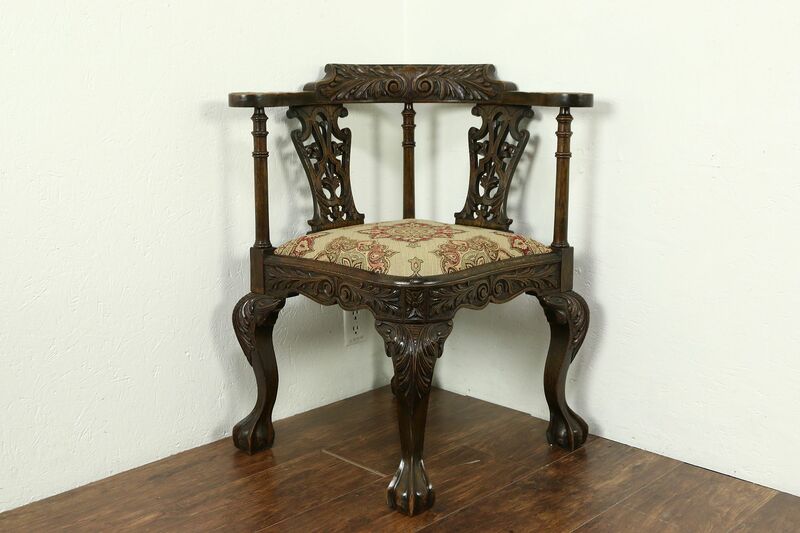 A corner chair from the 1890's was hand carved of solid oak in England with fine detailing and claw and ball feet. The original finish is well preserved and has been waxed and buffed, so all that is needed to maintain the warm patina is an occasional wipe with a soft dry cloth. Tight and strong antique furniture, the seat cushion is newly upholstered. Size is 29" across, 26" deep, 32" tall and the seat is 18" high.